For more than 30 years, Attorney Mary Alice Moore Leonhardt, has served a diverse group of clients as general counsel, regulatory and litigation counsel. She appears as trial counsel involving civil cases before state and federal courts. Attorney Moore Leonhardt is admitted to practice at the appellate court levels and United States Supreme Court, where she works with attorneys who focus their practice in appellate law to best serve her clients’ interests. 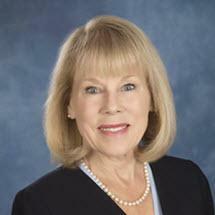 A nurse-attorney, Ms. Moore Leonhardt’s client practice is diverse and balanced between business law and litigation. This includes licensed health care providers, businesses and organizations across the health care delivery system such as urgent care centers, medical practices, home health care agencies, substance abuse and behavioral health treatment providers, medical transportation companies (ambulance, livery and taxicab) and non-profit organizations (governance, operational, corporate compliance, board of directors fiduciary duties and relationships). She serves her clients’ needs in connection with Freedom of Information Act issues, responses to subpoenas, business, partnership structuring, organizational development and compliance, and employer-employee relationship matters (contracting, discipline, separation and termination) and workplace legal compliance (seminar and webinar presentations) and legislative advocacy. Attorney Moore Leonhardt assists clients in resolving business disputes, efforts to secure reimbursement and settling provider-insurance company disagreements regarding reimbursement, credentialing and contracting. Ms. Moore Leonhardt works directly with lobbyists on legislative and regulatory matters, frequently meeting with members of the executive and legislative branches of the state government and periodically with members of Connecticut’s U.S. Congressional delegation. Ms. Moore Leonhardt is actively involved in providing legal defense to health care providers in state and federal courts and in licensure/disciplinary matters before licensing boards. She counsels health care providers on anti-trust and Medicare/Medicaid/Private Insurance billing fraud matters. She meets frequently with state and federal agency officials including representatives of the Office of the Attorney General and Department of Justice officials in Connecticut and Washington, D.C.
Ms. Moore Leonhardt is president and CEO of RecoverWell LLC, providing recovery support services to individuals suffering from addictions and chronic illnesses. Connecticut Bar Association, Administrative Law Section, Member, Executive Comm. Connecticut Bar Association, Antitrust Section, Member, Executive Comm. Connecticut Bar Association, Health Law Section, Member, Executive Comm.